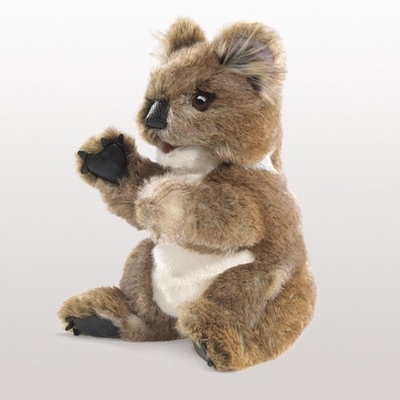 Folkmanis 3057 – A curious creature from down under, the Folkmanis® KOALA puppet is a plump and fluffy cuddle buddy ready to snuggle. Animate head, mouth and forelegs as you imagine climbing trees and eating eucalyptus with your new furry friend. Movable mouth and forelegs. Measures 10” x 9” x 16”.